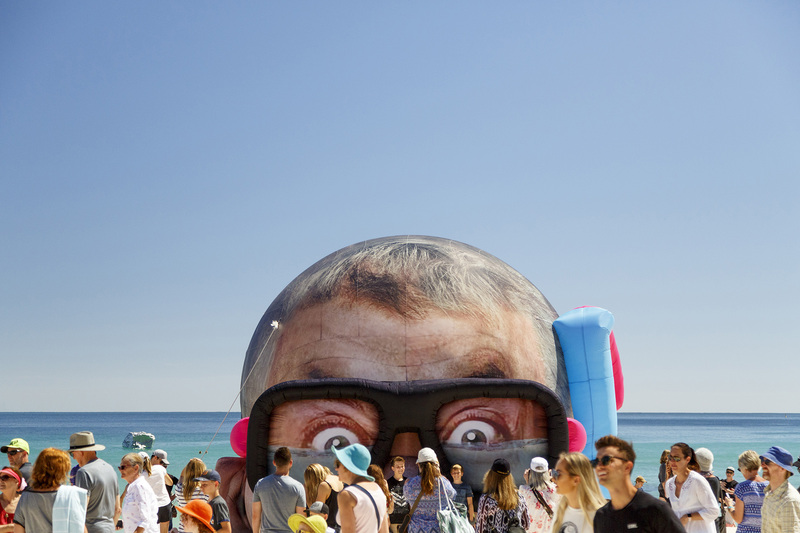 Sculpture by the Sea is a not-for-profit organisation which despite common misperception receives less than 20% of its revenue through government funding. We rely heavily on the generosity of individuals and Foundations whose philanthropic support accounts for 16% of our annual budget. Their support ensures we can continue to keep the exhibition as a free to the public event, benefiting the community, while providing support to the exhibiting artists and delivering our expansive Education and Access & Inclusion Program for people with disability. There are many ways you can join us and support Sculpture by the Sea. Become one of our dynamic and committed Patrons & Supporters and join a like-minded group of individuals who are passionate about helping Sculpture by the Sea achieve our goals. Your annual donation will not only contribute to helping us produce each exhibition but 20% of your donation will go directly to the exhibiting artists to assist with their costs of exhibiting. Should you wish to donate a larger gift to Sculpture by the Sea then we would be pleased to talk to you about how your donation could support a specific program, tailored to your interest. Alternately you can download, complete and send in our Donation Form and choose your payment method, be it a credit card, bank transfer or over the phone, as outlined on the form. Donations of $5,000 and above will be acknowledged on our ‘Patrons Thank You Board’ on the external wall of the Sculpture Inside gallery in Marks Park during the show. All donations of $250 and above will be acknowledged in our catalogue and on our website. Our Special Supporters, Patrons and Ambassadors will have the opportunity to be invited to special exhibition functions including opening parties, exhibition twilight tours and artist studio visits during the year. Every level of donor will receive a complimentary exhibition catalogue in the mail. … from just 1% of our visitors would be a significant impact and enable us to work towards our goal of supporting artists’ freight and installation costs, a substantial burden for most exhibiting artists. It’s quick and easy to set up a monthly tax-deductible donation. The Endowment Fund was established in 2009 to help secure Sculpture by the Sea for generations to come. Your gift will help us to withstand any financial challenges, ensuring our exhibitions continue well into the future. To make a donation to our Endowment Fund please complete and return our Donation Form. All Endowment Fund donations of $500 or more are acknowledged in the catalogue and on our website. Your company can become an important part of one of the largest cultural events held in Australia each year. Inspire your staff and impress clients through your involvement, while enjoying enviable hospitality and networking opportunities. Get in touch to learn more.